The ability to treat so many various diseases is surely due in part to its very strong anti-inflammatory and antioxidative properties but also in part to the fact that turmeric is a “functional food”, which means it has a potentially positive affect on health beyond its nutritional content. May reduce or prevent blood clotting: Both test tube and animal studies support the claim that regular use of turmeric supplements may reduce platelet aggregation and the formation of a thrombus. Arthritis: A study published by Phytotherapy Research in 2012, highlighted a trial in which patients with rheumatoid arthritis took either Turmeric or NSAIDs. The patients taking Turmeric showed the largest improvements. While Arthritis cannot be cured, it appears Turmeric is a safe and side-affect free way to naturally reduce symptoms associated with arthritis as good or better than common medication prescribed. Depression: The use of Prozac (fluoxetine) and other anti-depressants has increased dramatically during the past 15 years. Unfortunately, these drugs are powerful chemical disruptors and have many unwanted side-affects. 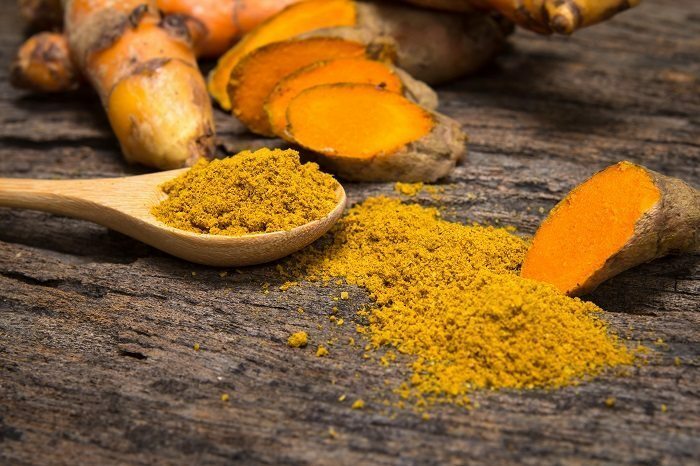 However, a study from 2014 (published in the journal Phytotherapy Research) compared 60 volunteers with clinical depression and compared those using fluoxetine verse those taking curcumin. The trial indicated that curcumin was equally effective at the six-week mark at reducing symptoms of depression as Prozac. Since this publication, additional research continues to support this claim. Alzheimer’s and Cognitive degeneration: Inflammation is a key feature in cognitive degeneration as is neurotoxicity. 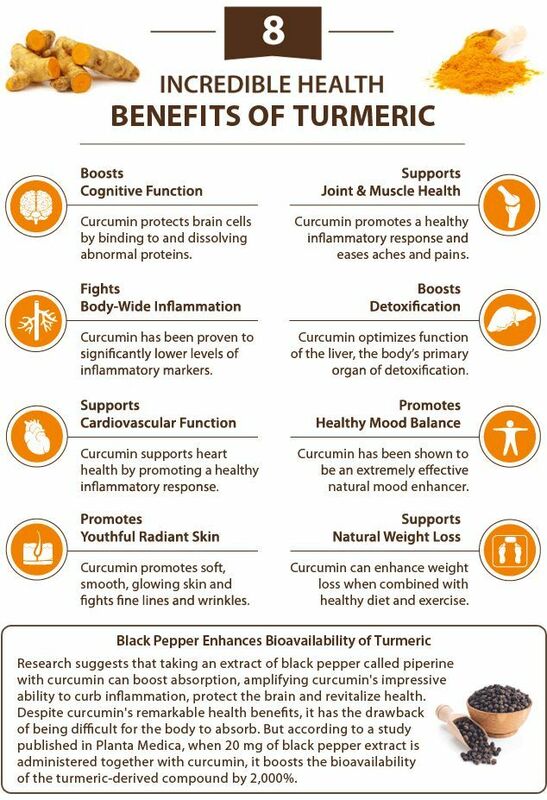 While study’s in humans is ongoing, past trials performed on rats and labs, indicate that curcumin is not only tolerated well by patients, but effective in reducing inflammation and toxicity. Reduced brain impairment has been noticed in animal studies, however, further research is needed to be conclusive. 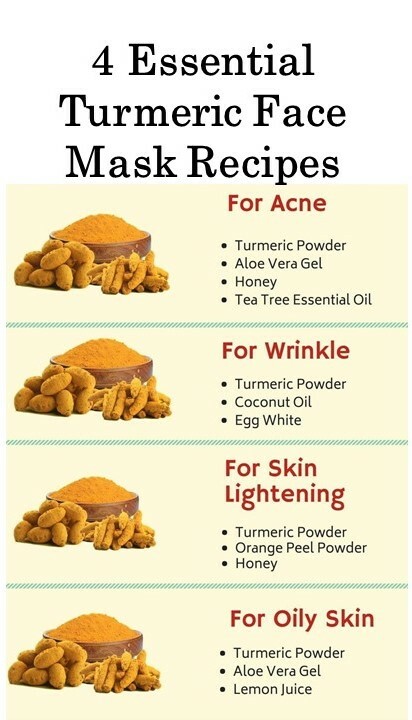 Acne: Due to the anti-inflammatory and antioxidation effects, acne (as well as scarring) may be reduced with internal use of turmeric (as well as external face masks using turmeric). Make sure to test masks containing turmeric for allergic reactions on a small part of your arm before applying to the face. Skin Disease: Turmeric has been shown to reduce symptoms and control various skin disorders such as scabies and psoriasis. Helps prevent resistance to Chemo-therapy: Early research indicates that curcumin may help patients who have developed a resistance to chemo-therapy drugs over time. Curcumin may help “re-sensitize” cells to chemo-therapy drugs. Diabetic Nerve Pain: A study published in the European Journal of Pharmacology, 2014, stated that curcumin activates the opioid system (this was found in diabetic rats). This indicates that curcumin may relieve pain associated with diabetic nerve damage. Also, further studies indicate it is an effective pain reliever for wounds, post-operations, arthritic pain and even sciatic nerve pain. Add 7 grams (1 tablespoon) once per day to foods, smoothies, drinks, soups, sauces, curries, etc. If you experience side-affects try reducing dosage or stop using completely. Tips: Add black pepper to recipes for better absorption of curcumin. Also take with fatty foods for better digestion and absorption. Turmeric is generally considered safe; however, some people may have allergic reactions (especially when applied topically as in a mask). This is usually a mild, itchy rash. When taken internally (in high doses) reactions such as the following have been observed; Nausea, diarrhea, bleeding, hypotension (low blood pressure) and increased menstrual flow. Turmeric may interfere with anti-coagulants (NSAIDs, aspirin, clopidogrel, warfarin). People with bleeding issues or about to have surgery should consult their physician before use. 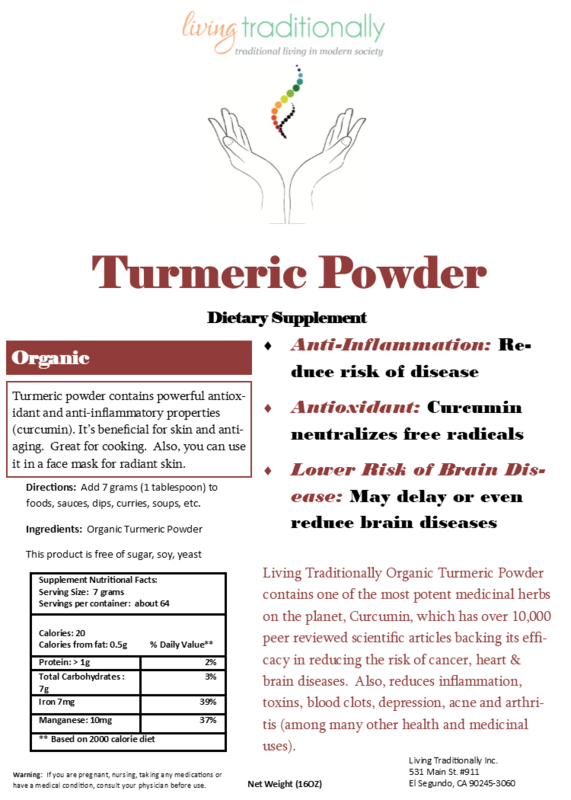 Pregnant and nursing mothers should contact a physician before starting turmeric or any dietary supplement. This is by far the best Tumeric Powder I have yet to try!